Thank you for requesting quotation(s) from us for printing and customization on t shirts, bags and corporate gifts. Filling up as much information as possible will shorten our clarification process and help us in providing you with a more accurate quotation. We will do our best to revert within 24 hours. The print file is advisable to be in high resolution (300dpi recommended) CMYK jpeg format. 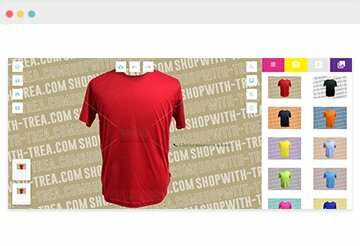 You may send in working file in Ai, PSD or pdf format directly to customization@shopwithtrea.com in order to achieve a better print quality. Include as much details as possible on the printing requirement for an accurate quote. We will do our best to provide a quotation to you via email within 24 hours! Feel free to drop us any enquiry regarding printing and customization on apparel, bags and corporate gifts. Alternatively if you have your products in mind that are not in our catalogue, feel free to write to us and we will be quick to respond.